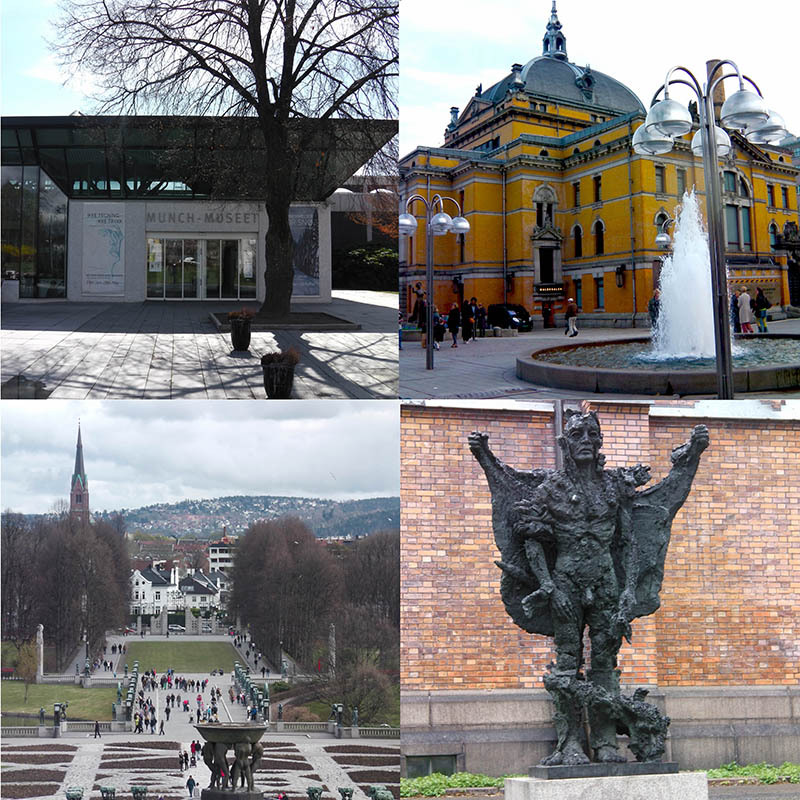 It was my husband’s birthday weekend, grandparents were watching the kids, so of course the city break destination was going to be Oslo. After many idyllic childhood summers spent in the fjords, Paul always hankers to go back to Norway. I’d been to Bergen and the Fjords a few times, however I’d never been to Oslo so was happy with the choice. 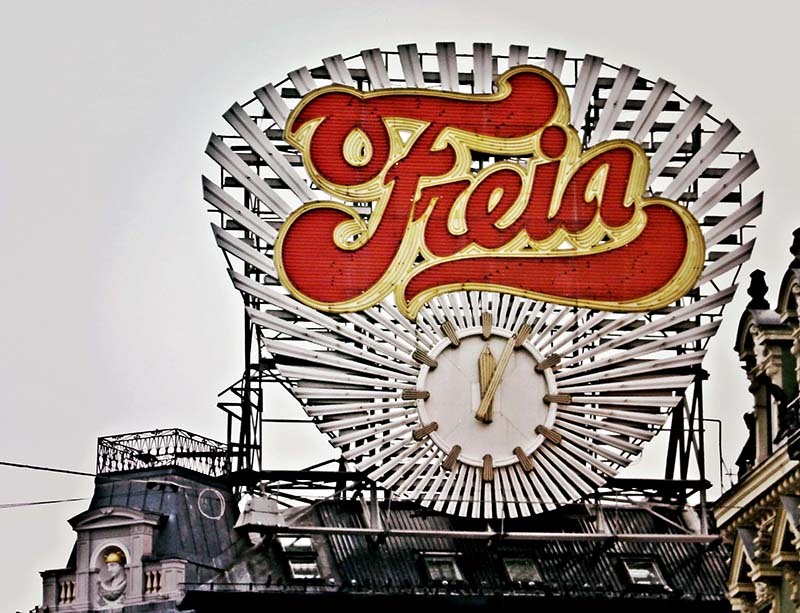 I was brought up in Asia, but I feel surprisingly at home in Scandinavia and often get mistaken for Norwegian when I’m there. 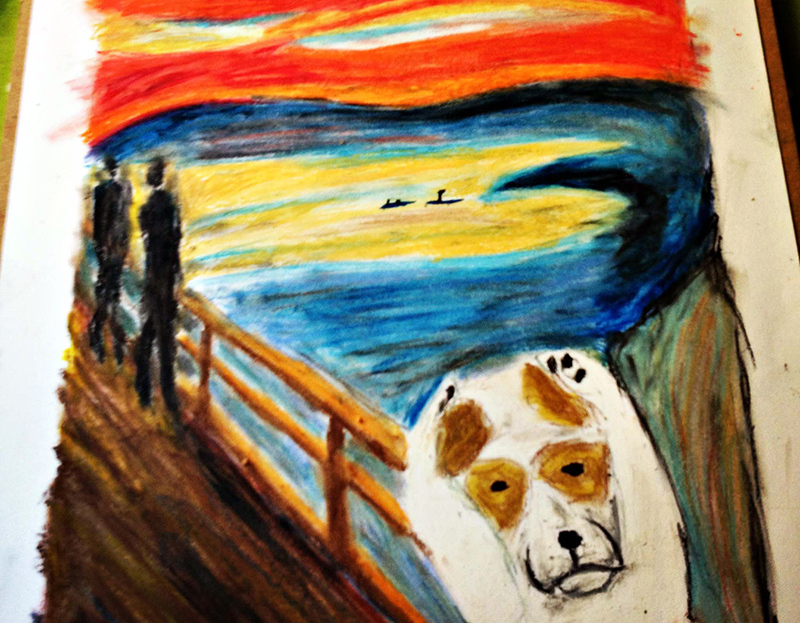 Standing mesmerized in front of “The Scream” in Oslo’s Edvard Munch Museum, my husband proposed that I recreate it with Toby our dog as my muse. It was his birthday I couldn’t refuse so “The Woof” was born. This didn’t just come out of the blue I did have previous. 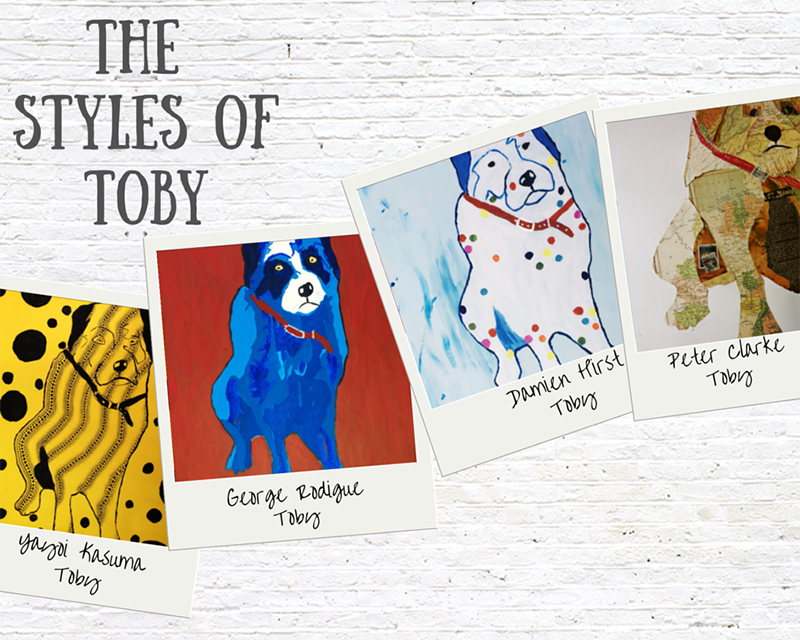 One way I channel my re-invigorated artistic enthusiasm after visiting galleries and exhibitions, is to paint Toby in the various artistic styles I have experienced. 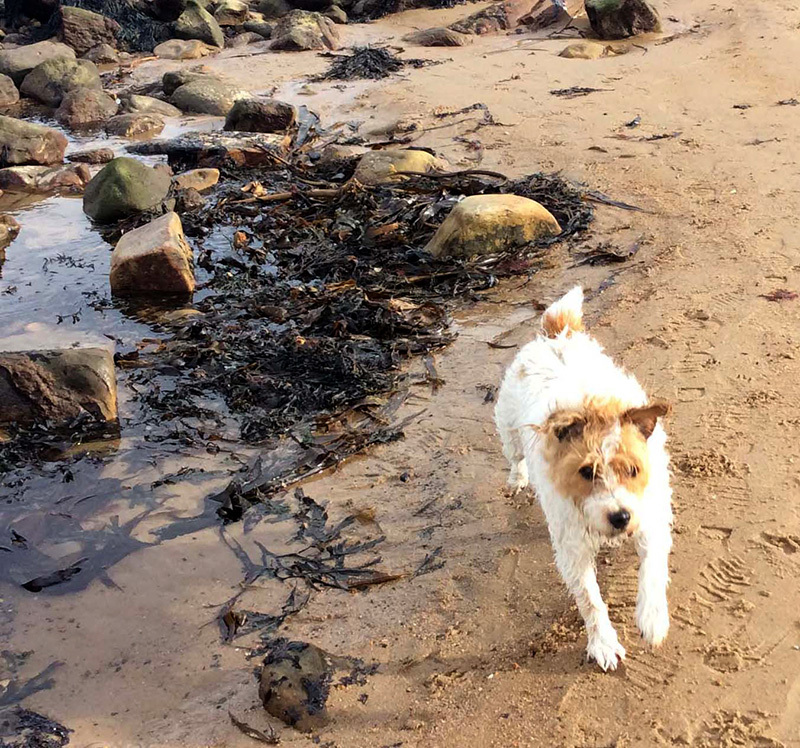 Toby’s a Foxy Russell (Jack Russell, Fox Terrier cross), he’s a rescued stray with a secret past and no one is quite sure how old he is. Toby is however now a much loved member of the family, and as well as my morning running partner my artistic muse. 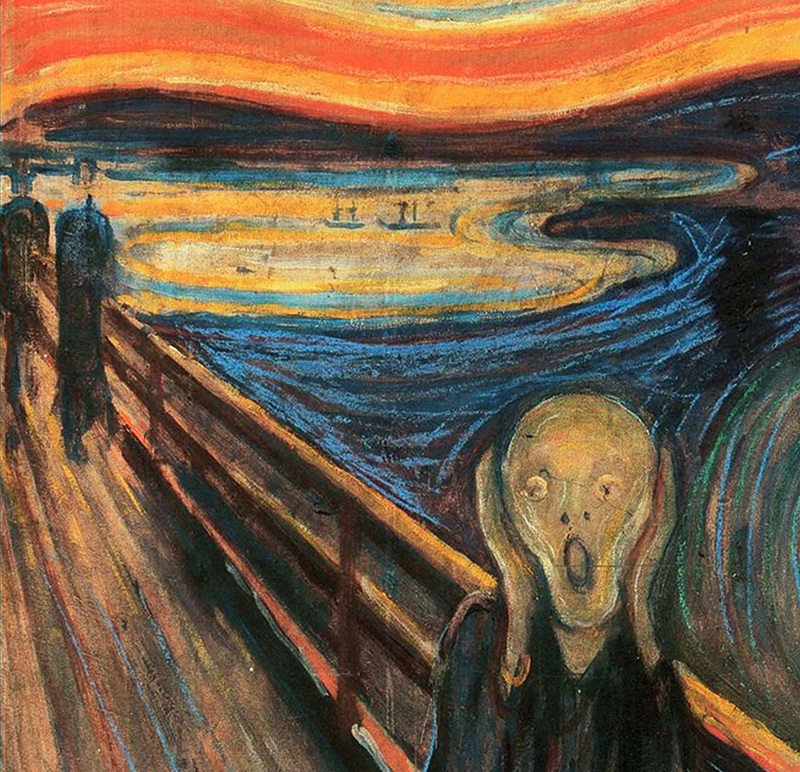 Munch created four versions of “the Scream” two painted in oils and two were drawn with oil pastels. 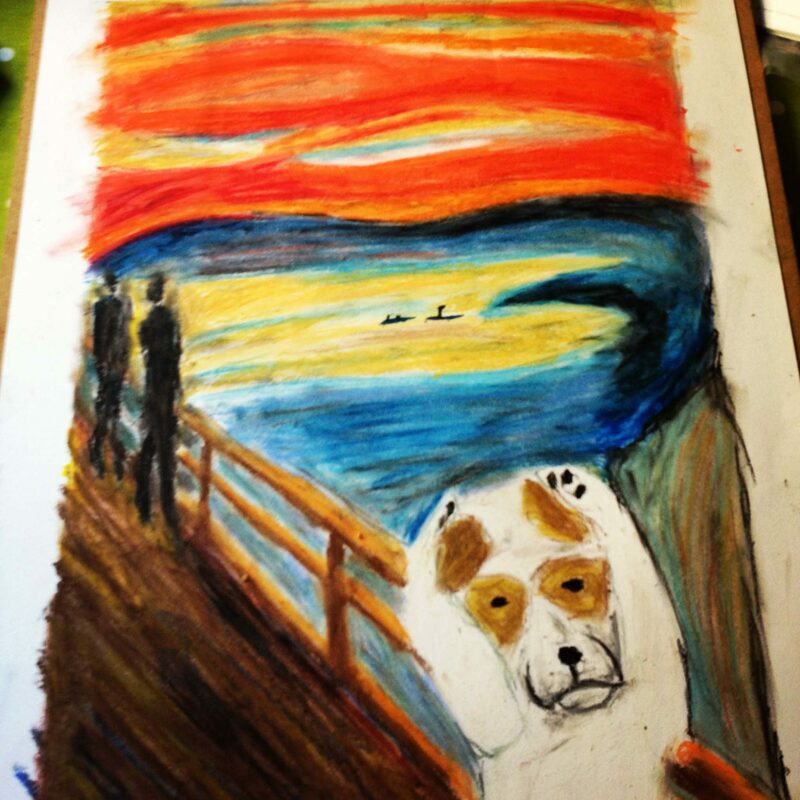 I hadn’t worked in pastels before, but as I enjoy trying new creative challenges, I chose to use them for my own version of “the Woof”. Using a picture of the original scream as a guide, on a sheet of A2 paper, I literally drew a faint basic outline of the picture in pencil. Replacing the traumatised figure in the original version, with a sketch of Toby with his paws over his ears. I then coloured it in with oil pastels, which was great fun. You can smudge the colours together with your fingers or cloth, to blend and make smooth. 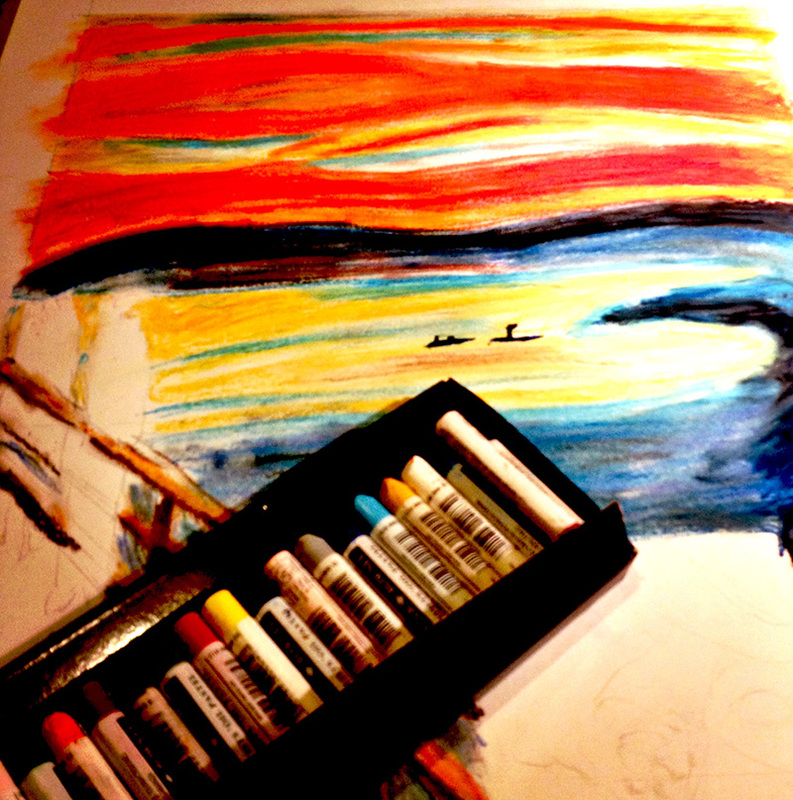 I’d ensure you have plenty of paper towels, as working with oil pastels can be messy. When you have finished, you will need to use spray on fixative, (you can use a special art one or I use hairspray). My mother in-law loves the picture too, as she’s both Norwegian and a huge dog lover. 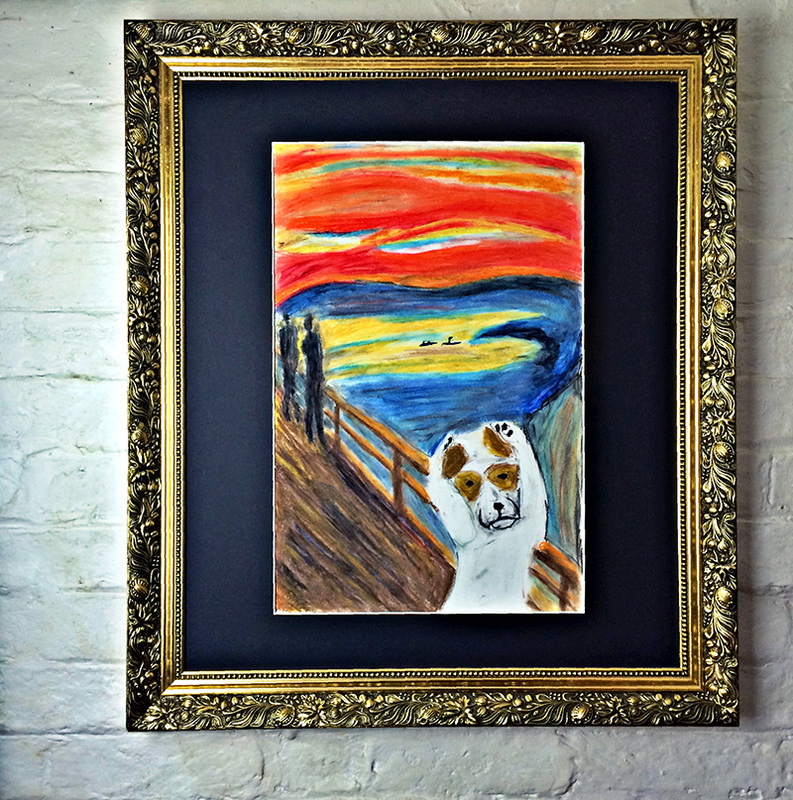 Thanks for checking my site out, glad you like my “woof” painting it does make us smile.